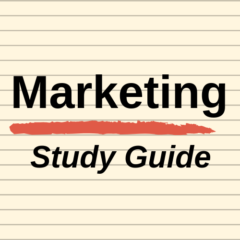 Marketing textbooks, when discussing the product mix, usually outline a series of decisions in regards to product attribute decisions. Attributes of a product are the various components that make up the product. Usually product attributes extend to actual features, as well as uses and benefits. But it is probably easiest to think of attributes as the actual features of the product. For example, a hamburger consists of bread/bun, some form of meat patty, sauce, sometimes cheese and lettuce and tomato. It is then often wrapped in paper, or placed in a light cardboard box. All of these individual elements are the product features, which in total deliver the overall product. As you can probably see, the variation of the product features – in our hamburger example above – means that different hamburgers (taste, textures, sizes, and so on) can be created. Quality of the product refers to how well the product has been made. A high quality product and typically work better, be more reliable, look more stylish, the easy to use, and consist of higher quality components/ingredients. While we often associate the concept of quality with a luxury product, such as a car or a watch, the concept of quality can exist across any type of product. For example, for a candy bar – the product would incorporate very high quality chocolate and target occasional consumers or it could consist of low quality chocolate possibly targeting children. The extent of quality in the product and its components/features becomes a strategic choice. As would you expect, a higher quality product allows for a price premium to be charged. However, this also has the impact of reducing the overall sales volume. And of course, higher-quality products will have a higher unit cost which may impact overall profitability. Stronger brands tend to have the perception of having higher-quality products. Therefore, you’ll find that most well-known brands try to avoid reducing quality in order to cut costs – however this may occur at times. We need to avoid the perception that higher-quality products will necessarily do better in the marketplace. Indeed there are large numbers of very budget conscious consumers in the market, who will make decisions on price and deal and would be attracted to lower quality products. For example, they can share it may be willing to fly a lower quality airline (that is, with no food provided and with smaller seating) if it means saving a reasonable amount of money. The decision on quality is somewhat of a competitive decision which will determine at what and of the market that the product will compete. Therefore, the overall product quality decision needs to be aligned to the overall positioning of the brand and the needs of the target market. As mentioned above, product features refer to the actual components or ingredients of the product. Using our hamburger example again – one fast food chain may have a very basic hamburger with just bread, meat and sauce – where another fast food chain may offer a more complex hamburger design with 15 different ingredients (including sauces and salads). Using another example, let’s look at a credit card offered by bank. One bank may have a very “basic” credit card with no flexibility, whereas another bank may have a more “complex” credit card that is linked to other accounts, has lots of flexibility, and has a supporting rewards program. From a manufacturing perspective, the decision of product features is important as it will influence the production process. And of course, the inclusion of specific product features will mean that the product will be designed for needs of a particular target market. If we continue the hamburger example above, the very simple hamburger would probably be targeted at children or at consumers just after a snack – whereas the more complex hamburger would be targeting people who are looking for a meal and are concerned with taste and perhaps nutrition. Therefore, it should be clear that the combination of features and quality of the product should be designed for the needs of the target market. Final element in the product attribute decision is the overall product design. Design of the product refers to how the product looks, functions and is put together. Product design has become more prominent in recent years primarily due to the success of Apple with their design of their smart phones in particular. If you think about an Apple smart phone, they work hard on physical look and the ease of using various features. Likewise, with our hamburger example, how the hamburger looks (particularly in the menu board) is quite important in attracting potential sales. The three elements of product attributes – the overall product quality, the actual product features included, and how the features are integrated together and how product looks – are very important decisions to guide the success of the product. Ideally, we are looking for a product that in combination of these attribute decisions meet the needs of the target market, while providing some form of differentiation against their key competitors.